Things don’t always go as planned. My life and leadership style changed the day that my youngest son was diagnosed with autism and apraxia. I have experienced a variety of leadership losses and business setbacks, but nothing prepared me for the difficult news that my son would struggle to develop and speak for a significant portion of his childhood. Kyston was born four months before I launched my startup. The business was taking up every hour and every ounce of effort that I had to make it successful. During the end of that first year in business is when Kyston was diagnosed, and it was then that my wife and I were told that because of the severity of his condition, there was a high probability that he would never talk. Since then, I found that Kyston and my business have a lot in common. They both have amazing potential, but I often have to look to see what others may not. I also found that Kyston taught me how to be a better CEO. Here are four lessons my son taught me that I believe every leader should know. 1. Difference can be better than sameness. Every leadership path is different. Great CEOs often find their path and walk it with tenacity and courage. It’s always easy to compare yourself to others — but don’t. Kyston isn’t concerned about the path of others. He’s going to develop in his way on his time. He’s different, and he’s okay with his differences. His difference is what makes him who he is. It’s an amazing irony to me: I always wanted to make a difference and celebrate the unique differences of my business, but I used to desire to have a son who was just like everyone else. There was a turning point for me when I embraced his differences as strengths. It reminded me that the world is changed by people who can see things differently. A different point of view should be celebrated and enjoyed. The journey of difference is not usually an easy journey, but it’s a powerful one, and it’s one that many CEOs and businesses must walk if they are to be successful. 2. Celebrate your smallest of steps. You can usually do more than others think you can. Kyston has always been able to do more than others thought he could. He never tested well, but the tests he took never measured what was in his heart or his ambition. The tests told us that he couldn’t do it, but his will said that he would. I learned from him that every CEO must believe in themselves, even when the world tells them that they can’t do it. CEOs might fail and fail again. Don’t let your failures or setbacks ever make you think that you can’t do it. Sometimes only the CEOs who have the will and the determination to know that they will succeed find real success in life. 4. Find your team of believers. I’ve found that there are two kinds of people in Kyston’s life: believers and borrowers. There are those who believe in his possibilities and others who just borrow him for a moment. As his parent, I’m passionate about putting together a team of only believers for him. These believers have the same drive and desire to see him succeed that we do. My wife and I have always believed that Kyston would not only speak but also that he will grow up to be a public speaker and be able to speak to people in a multitude of languages. My son is now beginning to talk. Every day, he surprises me with what he’s learning and how he’s communicating. Kyston taught me that every great business needs a team of believers as well. I’ve learned that CEOs must find the right people who believe in the product and mission of the organization. There are times when CEOs may need that team around them to keep going. When CEOs find those right people, the possibilities can be limitless. My son taught me the principle that when the team gets better, the organization gets better. Don’t settle for nonbelievers on your team. The nonbelievers may only slow down your progress. Kyston still teaches me something almost daily. I don’t know what the future holds for my son or my business, but I know that if he can make progress, so can I. Kyston is now a thriving 7-year-old boy, and he’s taught me more about what it means to be a CEO than business school did. Soon, I’ll be able to share with him how he taught me about life and leadership even before he could speak. Life is indeed bigger than business. Today, I see things differently. I’m a different leader, and because of him, I’m a different CEO. 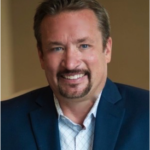 Ken Gosnell is the owner of CEO Experience and the publisher of the CEO Executive Guide. Previously he was the CEO of the C12 Group Maryland. Earlier in his career Ken was with the U.S. Department of Health and Human Services and served as an executive consultant with Dale Carnegie Training. Follow Ken on LinkedIn.